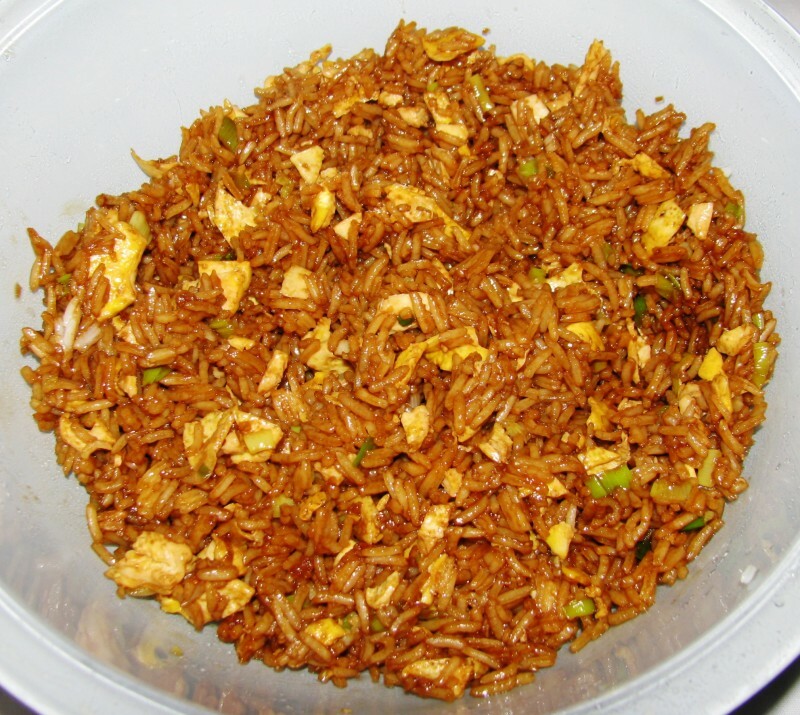 Take-out fried rice is often greasy–it is fried, after all–and tasteless. But even bad fried rice is still usually consumed by the non-discriminating palates around here. And sometimes, take-out is not available or is too far away. 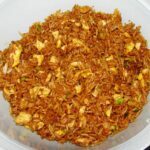 I found several fried rice recipes, some complicated and some too easy, and replicated what I liked to make this version. It’s not simple but not too time-consuming and it’s delicious. You can (and should) make the rice at least 1 day before you plan to make the fried rice. Rinse the rice to remove some of the starch and cook according to directions. Cool to room temperature before covering and refrigerating for 24 hours. If you’re making the fried rice on the same day as the rice, then pop your cooked rice in the freezer for a few minutes to get it cold. Break up any clumps of the cold rice. In a small bowl, stir together the soy sauce, oyster sauce and fish sauce. Add the bacon grease to a large, nonstick skillet or wok with heat over medium-high heat. 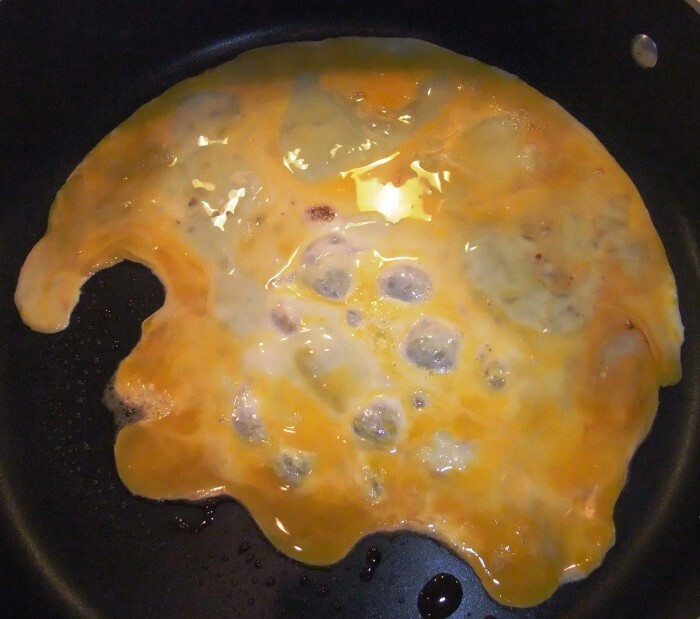 When the grease is hot, add the eggs, swirling them around to make sure they coat the whole bottom of the pan. Don’t stir, just tilt the skillet and adjust heat if needed, until eggs are firm and cooked through. You can flip them over to cook each side. Then slide onto a plate and chop into small pieces. Heat sesame oil in the same skillet on medium-high heat. 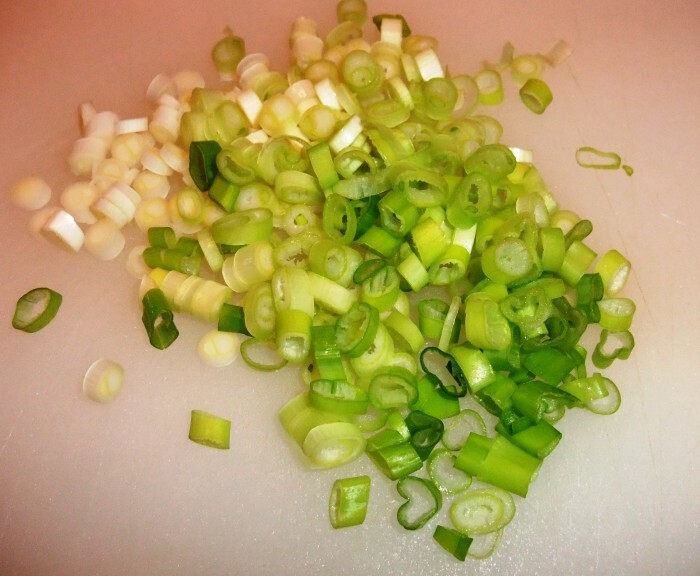 When the oil is hot, add the scallions, garlic and ginger, and cook, stirring constantly, about thirty seconds or until scallions appear wilted. Stir in the rice, soy sauce mixture, and eggs until well mixed. You may need to add additional sesame oil if mixture looks too dry. Cook and stir until rice is heated through. Taste and add additional soy or fish sauce as necessary.I usually add a little more soy sauce when done, but that’s personal preference. You can also add chopped chicken, pork or shrimp to this recipe, and/or vegetables such as frozen green peas or chopped carrots. Easy, delicious fried rice with and eggs and scallions. Stir together the soy, oyster and fish sauce and set aside. Heat bacon grease in wok or large non-stick skillet. Add eggs and cook until just done. Remove from skillet. Add sesame oil to skillet and heat. Add green onions and garlic to skillet and saute for about thirty seconds. Add rice to skillet, along with the soy sauce mixture. Stir everything together, then let the rice cook a few minutes before flipping it over with a large spatula. 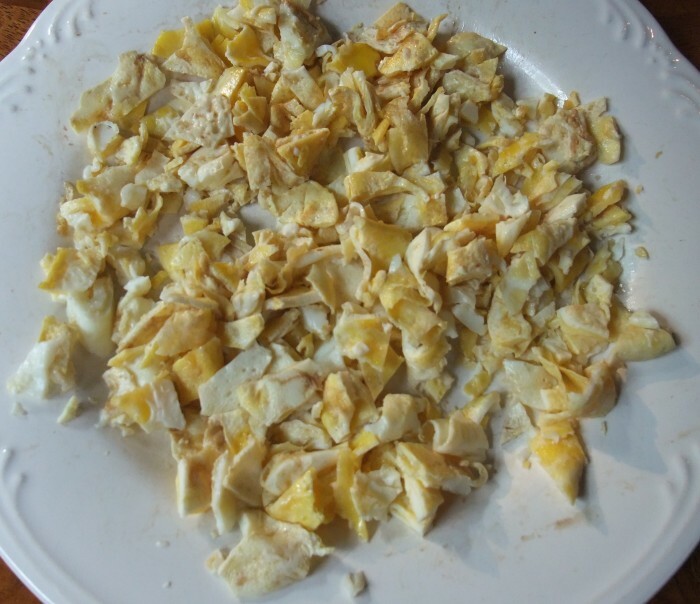 While rice is cooking, chop eggs. Add eggs to skillet and mix well. Click here to save this recipe to your Pinterest board! Did you make this recipe?Share on Instagram and tag @southernfoodandfun and use #southernfoodandfun! We love when you cook one of our recipes! Be sure to snap a photo and tag @SouthernFoodandFun and #SOUTHERNFOODANDFUN for a chance to be featured on our Instagram!